Sam Curran picked four wickets including the top three. 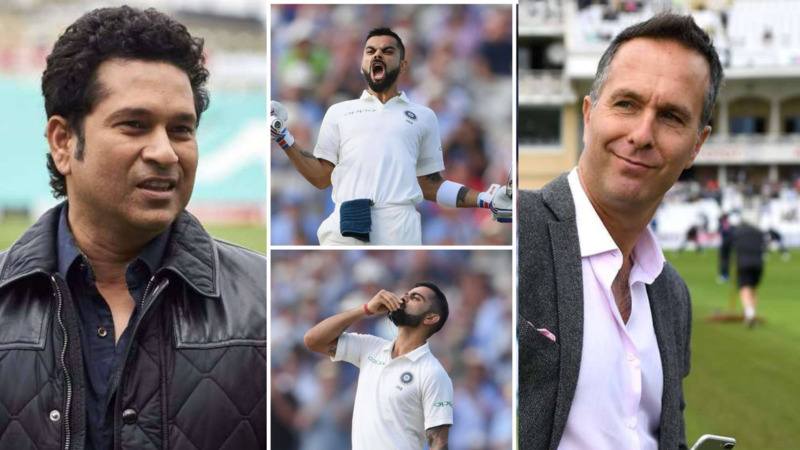 Team India and England are battling it out in the first Test at Edgbaston of the five-match series. The first-day honors were shared by Joe Root, Jonny Bairstow, and R Ashwin. While Root and Bairstow made sublime fifties, Ashwin picked a four-wicket haul to collapse the England innings from 216/4 to 283/9 by the end of the day. 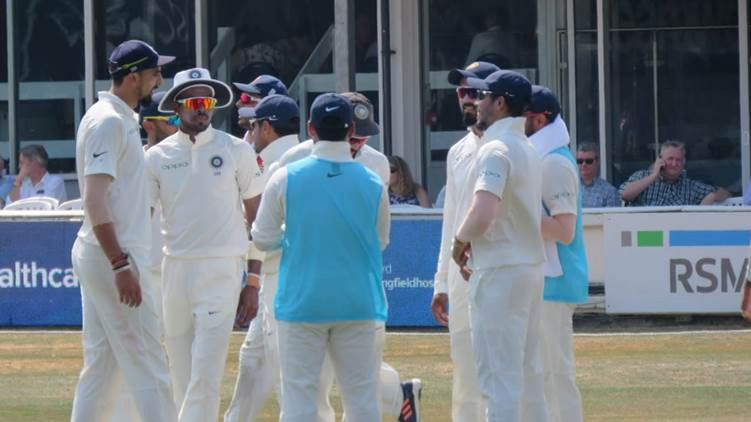 Day two started with Ashwin trying to get a fifer, but it was Mohammad Shami, who got Sam Curran to edge one outside off stump for a well made 24, as England innings wrapped up for 287. Mohammad Shami ended up with 3/64. India needed a solid start from their openers and M Vijay (20) and Shikhar Dhawan (26) provided that with a 50 run stand. However, newcomer Sam Curran then wrecked havoc on Indian batting lineup as he caught M Vijay plumb in front of the stumps. Though Aleem Dar refused to give it out, Root went for DRS and the third umpire found Vijay LBW. New no.3 KL Rahul hit his first ball for a four, but then dragged the second one, a wide one on his stumps. Dhawan was then caught by Malan in slips and India was left reeling at 59/3. Stokes removed Rahane for 15 and Karthik was bowled for a duck by a beauty from the same bowler. Hardik Pandya made 22 runs and added 48 with Kohli, who soldiered on to a brilliant fifty off 100 balls. England must have rued Dawid Malan dropping Virat Kohli twice. But then India again lost wickets in heap Curran removed Pandya, Anderson got rid of Ashwin and Shami; and after a short stay at the wicket, Ishant was caught LBW by Rashid. 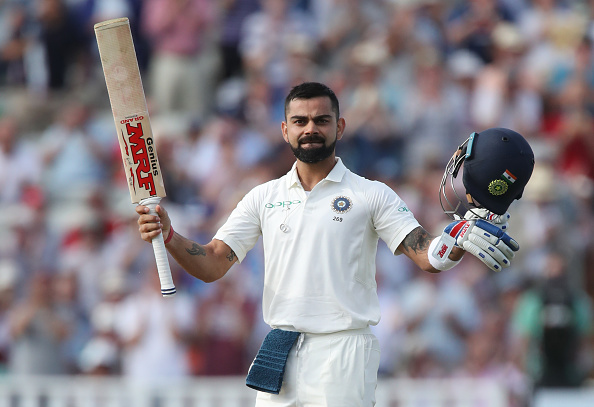 However, amidst that, Virat Kohli shepherded the tail brilliantly, to reach his 22nd Test century and first in England, and that too as the captain. He took India to a total of respectability. 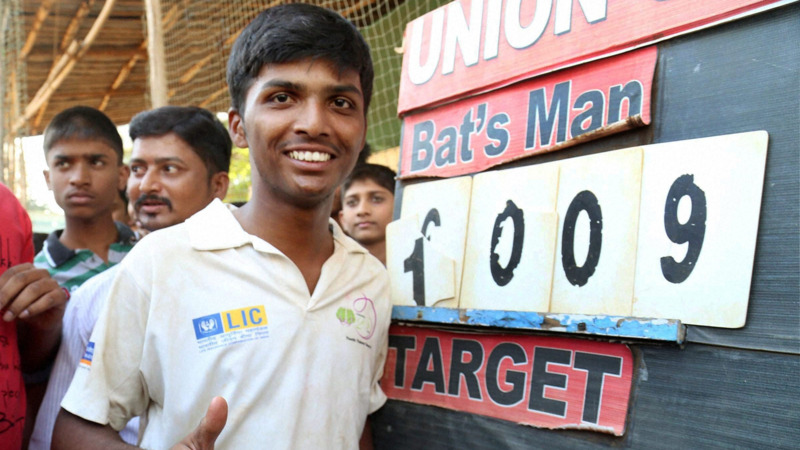 He even added 50 plus runs with Umesh Yadav for the 10th wicket. Virat was the last Indian wicket to fall for 149 runs (22x4s; 1x6s), caught by Broad off Rashid. India's first innings ended at 274, 13 runs behind England's 287. 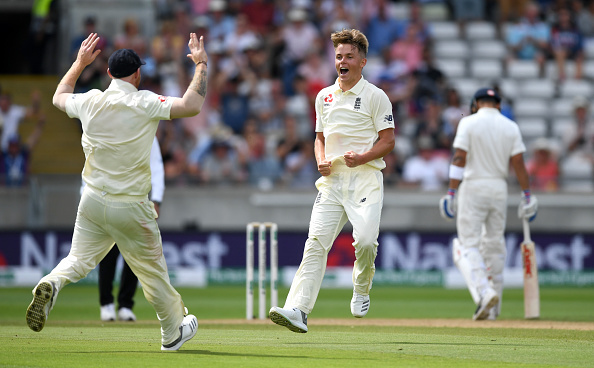 Sam Curran picked 4/74 and James Anderson, Ben Stokes and Adil Rashid picked two wickets each. The second innings of England saw them losing Alastair Cook for a duck, falling to Ashwin again and ending the day at 9/1, 22 runs ahead.